Stop for a minute! Close your eyes and take a deep breath in and exhale slowly. Repeat a few more times. Now, how do you feel? Relaxed; right? Think, if we all just took a few minutes each day to relax then we could get through our days with more clarity and confidence and less chaos. Unfortunately, stress is a reality in our daily lives and it may even be amplified during the hustle and bustle of the holiday season. Whether the cause of your stress is work, school, relationships, or even an illness it needs to be dealt with. 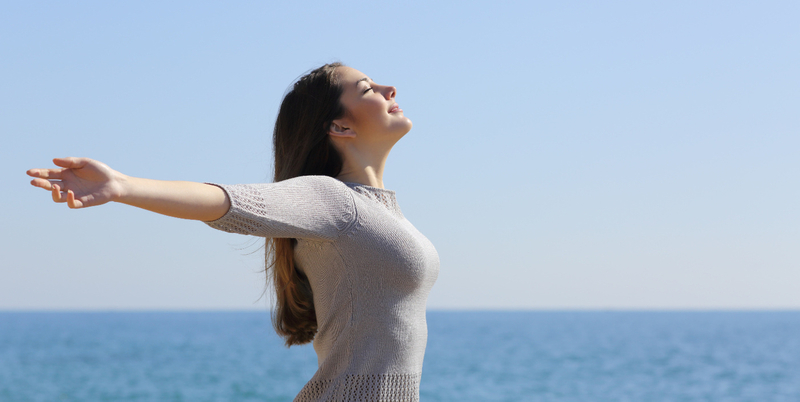 Different relaxation techniques such as walking, meditation, or deep breathing exercises are just a few things you can integrate into your daily routine to get your day started off right. Any form of exercise can be a great outlet to release stress and keep you happy. Plan projects accordingly and don’t procrastinate as it just leads to more stress. And make sure to supplement your body with the nutrients it needs to thrive. Diffusing essential oils such as lavender or peace and calming at home or work can keep you calm and collected throughout your day as well. These could even be great gifts to friends or loved ones. It doesn’t take much time to care for yourself so be sure to breathe in and stay calm this holiday season! Lavender (Lavandula angustifolia) has a scent that’s a wonderful blend of fresh, floral, clean, and calm. It’s this dynamic aroma that has made the flower a classic for perfumes, soaps, fresheners, and beauty products. As one of our most popular oils, Lavender is a great beginner oil and a must for every home. Lavender essential oil isn’t just a favorite because of its classic scent—it’s also highly versatile. From skin care products to relaxing routines, this oil can infuse many areas of your life..